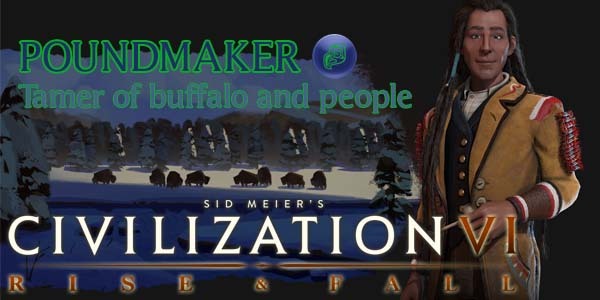 Poundmaker had front-loaded bonuses that encourage him to be a trade-based peacemonger in Civilization VI: Rise & Fall, who gains additional bonuses from trade routes (either domestic or foreign) with cities that contain camps or pastures. Cree capital start bias: none. "Gains +1 Trade Route capacity and a free Trader with Pottery. Unclaimed tiles within three tiles of a Cree city come under Cree control when a Trader first moves over them." Researching Pottery grants the Cree with a very early (free!) trade route and Trader unit. 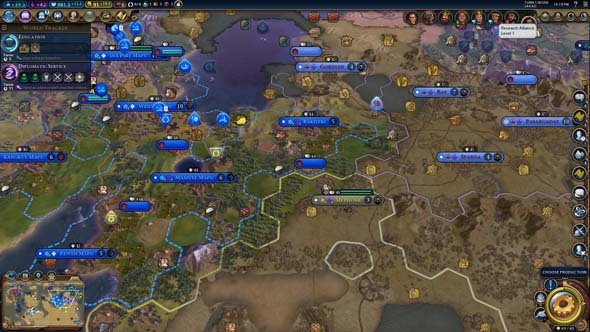 If the map is safe, this Trader can be sent to a city state or a rival civ's city in order to generate some very early gold, as well as possibly some production, food, culture, science, or faith. This Trader (and every Trader created thereafter) will also claim any unclaimed tile(s) that it enters which are within the bounds (3 tiles) of a Cree city. By sending Traders out to different cities (in multiple directions), the Cree can claim a lot of territory without needing high culture generation and without having to spend any gold to buy tiles. External trade routes can allow you to extend your reach to claim tiles that might otherwise be contested by other players or city states. Internal trade routes, on the other hand, will allow the Cree to fill in their territory, potentially closing off their borders to rivals who do not obtain open borders rights from you. As far as I know, the number of tiles than any one Trader can annex is unlimited. "All Alliance types provide shared visibility. Your Trade Routes grant +1 Food for Poundmaker per Camp or Pasture in the receiving city. Trade Routes grant +1 Gold for Poundmaker per Camp or Pasture in the receiving city." 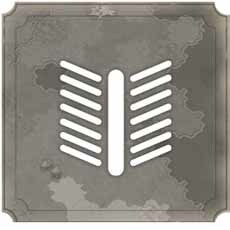 Trade Routes grant +1 Food in the sending city and +1 Gold in the receiving city per Camp or Pasture in the receiving city." Poundmaker's Trade Routes grant +1 Food in the source city for each Camp or Pasture in the receiving city. All Trade Routes to one of Poundmaker's cities grant +1 Gold in the receiving city per Camp or Pasture in the receiving city." The trade route bonuses apply to both domestic (internal) trade routes and to international (external) trade routes. It can be used to rapidly grow your cities, as well as provide wealth. 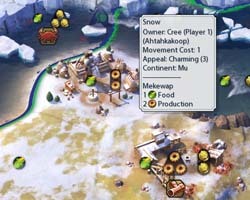 By sending your trade routes to cities that have camps or pastures (whether they are your cities or another civ's cities), Poundmaker's cities have much greater growth potential than most other civilizations, which means they can potentially work more tiles (for more yields) and/or assign more specialists if you don't have worthwhile tiles to work. All alliances provide shared visibility, allowing you to see large chunks of the map. Normally, military alliances would allow civs to share visibility, but Poundmaker (and his allies) receive this bonus from all alliance types. 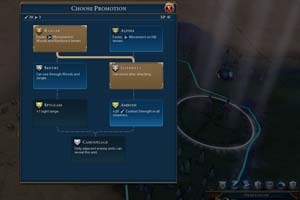 Unlike with the trade power, this part of Poundmaker's ability does provide bonuses toward the other civilization, and can allow both parties to more quickly reveal the map, and to share in the discovery of natural wonders, ancient ruins, barbarian camps, and other civilizations' territory. It also complicates some historic moments, such as being the "first to circumnavigate the globe", "first to discover a natural wonder", and "first to meet all other civilizations" historic moments, since multiple civilizations can potentially earn it simultaneously. I'm not sure of the exact rules for how these conflicts are resolved. 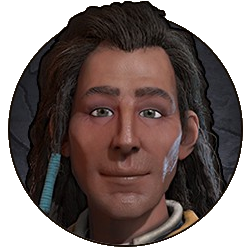 I tested it in Hot Seat and had an instance in which Poundmaker was given credit for being the "first" to circumnavigate the world, even though the circumnavigation was completed by another allied player's unit on that other player's turn. I also had another instance in which the other allied player was given credit for the "first" circumnavigation when it was completed on that player's turn. It didn't seem to matter which player's unit actually achieved the circumnavigation. In both cases, Poundmaker was the first player, so it's also not resolved in player order. If anybody knows how these simultaneous historic moments are resolved, please let us know in the comments! In the meantime, I guess the only hint that I can provide is that if you are counting on getting the era points from such an historic moment (such as the 5 era score for being the first to circumnavigate the globe), maybe it's safer to not be allied with anybody. 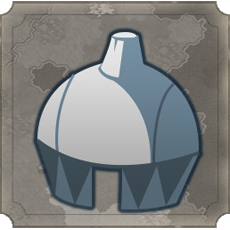 "Unlocks the Builder ability to construct a Mekewap, unique to Cree. Provides +1 Production and +1 Housing. +1 Gold if adjacent to a luxury resource. For every 2 adjacent bonus resources, +1 food. 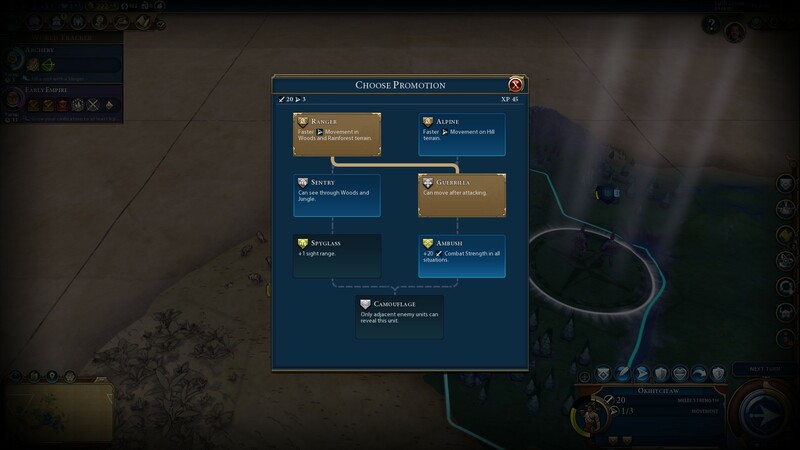 Additional Production, Gold, Food, and Housing as you advance through the civic and technology tree. Must be placed next to a bonus or luxury resource. Cannot be built adjacent to another Mekewap." cannot be built adjacent to another Mekewap. +1 Production after Civil Service civic. Since the Mekewap gains bonuses from adjacent resources, you may want to resist harvesting those resources. Mekewaps can become very productive tiles if surrounded by more than 1 or 2 resources. They are often better than farms or mines (even without the tech and civic buffs). It also provides housing, which helps to support the rapid growth of Poundmaker's cities. Mekewaps cannot be adjacent to another Mekewap, so you will want to plan out their positioning carefully. Try to leave room next to your farmable resources so that you can create three adjacent farms for the Feudalism bonus where applicable. Game Info: "Cree unique Ancient Era unit that replaces the Scout. Strong reconnaissance unit. Starts with 1 free Promotion." Cost: 40 Production (+10 from Scout) / 160 Gold [Standard speed]. Bonuses: Starts with a free promotion. Stock Okihtcitaw have the movement of a Scout, but the strength of a Warrior, meaning that they can take a lot more punishment during exploration than a normal Scout could. They can also be used as viable military units early in the game. If you can promote one with the Ambush promotion (granting it +20 additional strength), then an Okihtcitaw will be stronger than a Swordsman. Since the Okihtcitaw starts with one free promotion, you are already that much closer to being able to promote the unit with Ambush. Okihtcitaw with Ambush are stronger than Swordsmen. The free promotion will allow your newly-trained Okihtcitaw to immediately take either the Ranger (faster movement in woods and jungles) or Alpine (faster movement on hills) promotion. This will dramatically speed up your early exploration if your capital is surrounded by rough terrain. The "free" promotion is actually a little misleading. The Okihtcitaw isn't simply given a free promotion; it is given the experience necessary to gain the first promotion. The amount of experience required for a promotion increases with each promotion taken. An Okihtcitaw's second promotion, therefore, will not cost as much as the first promotion normally does.